Synopsis: Thowra, the magnificent silver stallion, is king of the brumbies. He will defend his herd from the mighty horse, The Brolga, in the most savage of struggles. But The Brolga is not the only danger - Thowra needs all his speed and cunning to save the herd from capture by man. 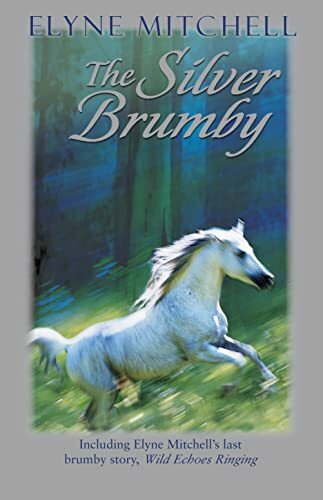 A silver brumpy is a most special horse, both to other horses and in the land of men. And it is men who will always seek to catch him, for his beauty. Thowra, the magnificent silver stallion, longs to be King of the Brumbies like the mighty horse called The Brogla. But Thowra is young, and to defeat The Brolga he needs all his strength and cunning. So he bides his time, and listens, and learns. Soon he knows that even if he defeats The Brolga he must face and overcome something much worse: the danger from man . . .